There is something about timelapse videos that’s just mesmerizing to watch, you’ll literally just sit there in awe of everything happening so fast before your eyes and it just makes you want to take it all in. You’ve seen it a lot in movies, it begins as an almost static scene, a bright yellow-orange sky showing the sun quickly descending into the horizon. The whole scenario bursts into a barrage of changing colors, an almost kaleidoscopic transformation from orange, to pink, to violet, then deep dark blue. Building lights come on one by one, and in one swift minute, it’s nighttime. Such is the magic that can be done using the technique, and there’s plenty of videos online you can watch and learn from. Some of the best ones I’ve seen around the web include that of people working in factories, people constructing buildings and other structures, a sculptor making his masterpiece come to life as he patiently carves it out of a large piece of granite, the Milky Way slowly sweeping across the nighttime sky, people in cars doing a cross-country road trip, there’s just too many to mention. There are even those that are made in such a long time that the subjects have actually aged. Little do we, the regular folk, know how easy these videos can be made. Sometimes, just putting your camera on a tripod and pointing it someplace where there doesn’t seem much happening, then starting your timelapse recording, you come back a couple of hours later and be astounded by what you caught on video. Take for example this short video from an SJCAM user, Trần Việt Hùng of Hanoi, Vietnam. Watch it in HD. Just. Beautiful. There isn’t much to see there really, just some buildings doing nothing, some trees, a couple of houses, and clouds. Once those clouds move, though, it becomes hypnotic. Almost as if you’re watching waves of an imaginary ocean above you as you lie perfectly still. 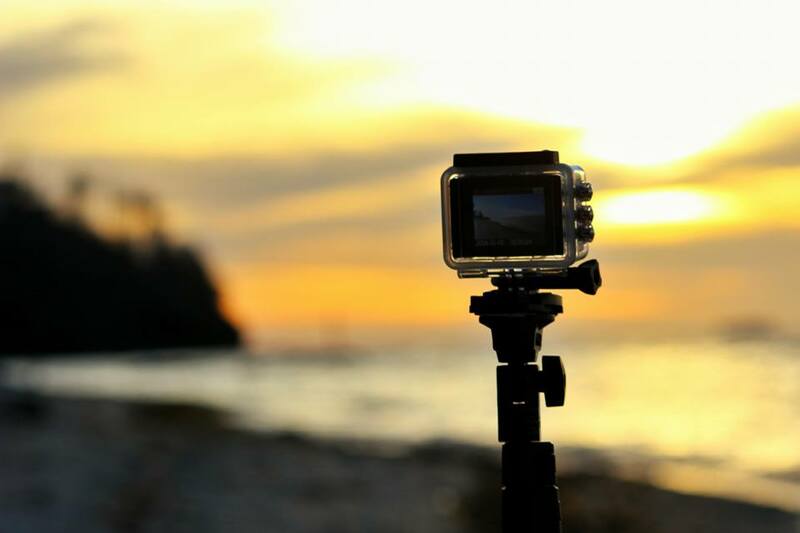 You too can create remarkable breathtaking timelapse videos like that. Almost all SJCAM models are capable of recording timelapse; all it takes is, of course, your photolapse/videolapse capable SJCAM camera, a tripod (or any accessory to anchor your camera on to), a steady surface to place your camera setup on, enough space on your MicroSD card, enough battery power to last the duration of your intended scene, some imagination, some patience, and lastly, time. Yes, because you have to wait for things in your scene to unfold. And that’s it. I hope the short video above inspires you to start one, if you haven’t already done it. It’s worth experiencing yourself. Go ahead and try it out. You just might get the perfect video. Send us a link to it when it’s ready, and maybe we’ll even feature it.